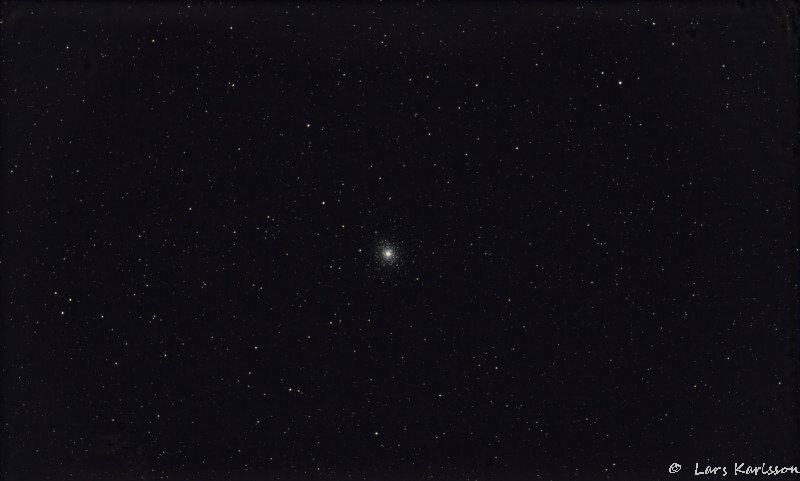 Object : M92, Globular Cluster. Processing : Flat calibrate, level, crop 1:1 800x800 center. 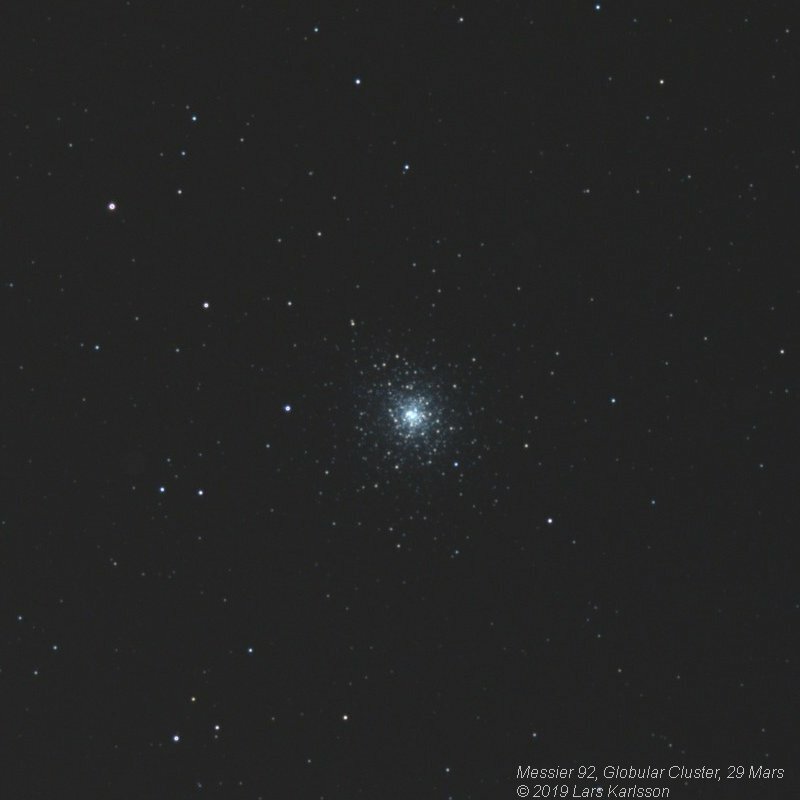 Comment : A second chance to catch the globular cluster M92. Good target to test the equipment at. Still the focusing that I need more control over. I try to optimize the temperature compensation of focus, not easy and a slow process. Processing : Flat calibrate, medium stack, level, crop 1:1 800x800 center. 0.6 Mpix of 5Mpix. 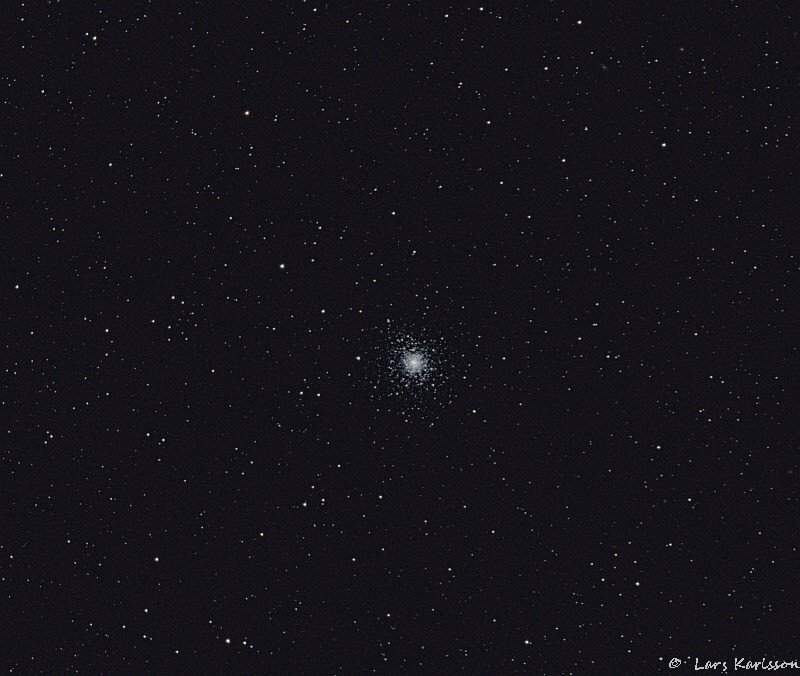 Comment : It was three years since last time I took a photo of the globular cluster M92. Now I have a new setup with longer focal length and less vignetting. This time I only show the small center of the image. It is cropped with 1:2 pixel. Is it possible to see any better resolution compare to earlier photo? I haven't done anything to take away dust blobs this time. I have increased the ISO to 1600 and shorter exposure time. The focal length is increased from 684 mm to 910 mm, gives better resolution but longer exposure times. 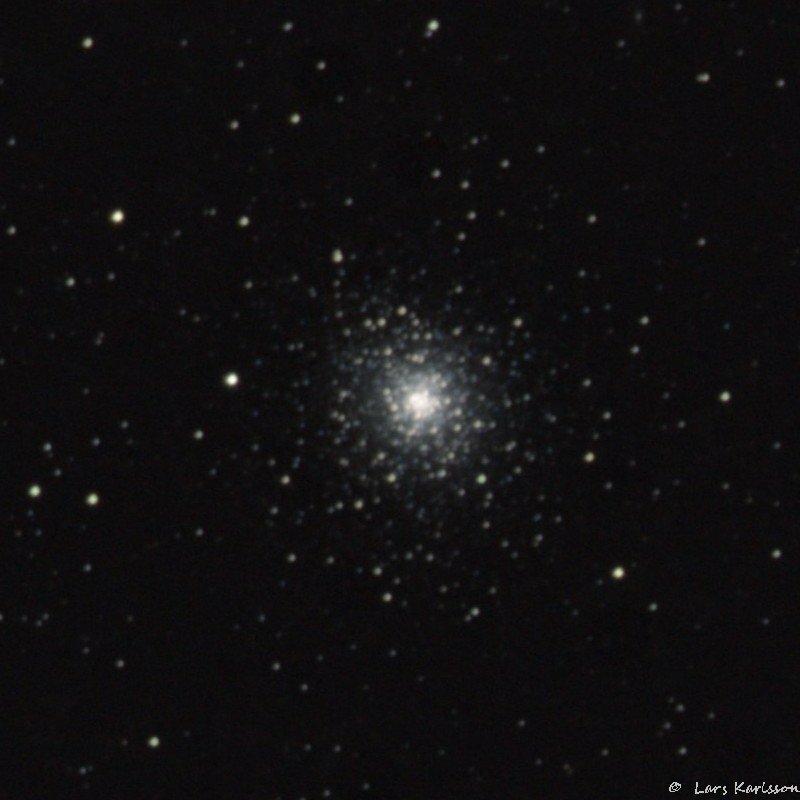 Comment : M92, a complement with 120 seconds exposures and stacked together with the older 60 seconds exposures. The auto guiding was a little bit unstable this time. Stars FWHM about 4". Comment : A zoom in on the core. 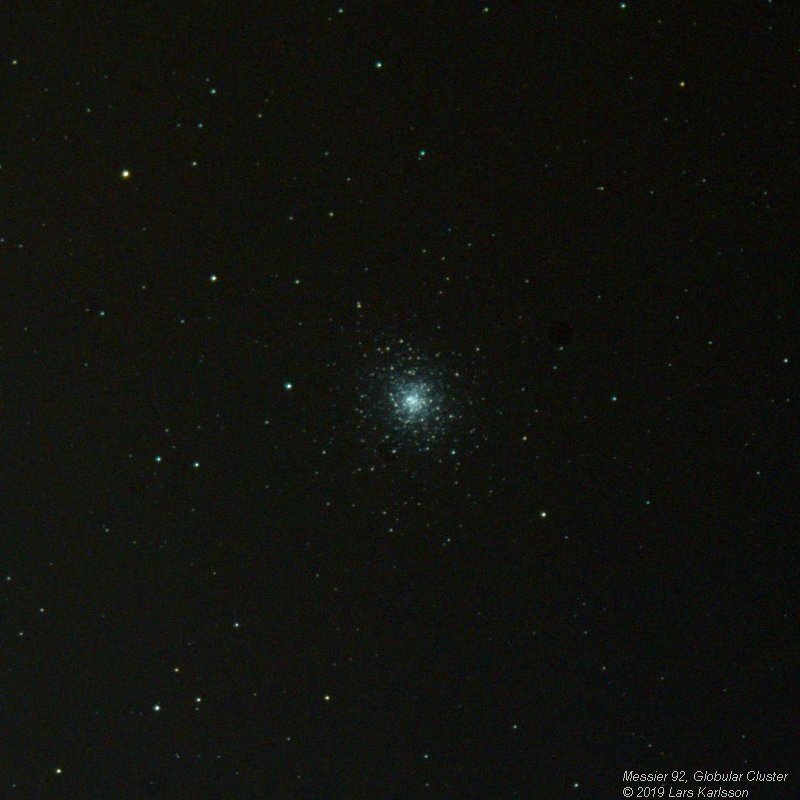 Comment : M92 together with M3 and M13 is relative easy to get on photo, no need of very long exposure time.